Deacon Charles Ravert doesn’t hold many memories of his father. Priests and uncles on his mother’s side instead became paternal role models. 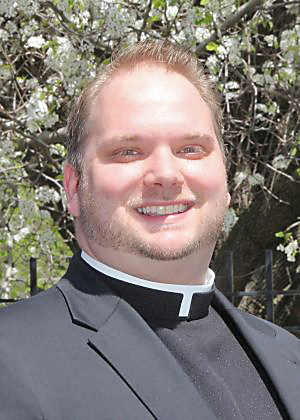 Ravert, now less than a month away from priestly ordination, loved serving Mass in Manayunk as a child at St. John the Baptist, his home parish and former grade school. He particularly enjoyed the Chrism Mass on Holy Thursday, attending it yearly since eighth grade, at the Cathedral Basilica of SS. Peter and Paul in Philadelphia. At the age of 12, Ravert’s stepdad, Tony Carotenuto, became the father figure he never had. Only Tony possessed slow degenerative dementia. Ravert spent his teenage years helping his mother, Eleanor Todd, take care of Tony, who passed away after Ravert attended high school. Ravert wanted to lead a service-oriented life and chose Mercy Vocational High School in North Philadelphia after graduating from St. John’s. A trade could help support his mother, who mostly raised Ravert on her own and took care of both his great aunt and grandmother. Todd worked two to three jobs, an example that gave Ravert the inspiration and blueprint, and the family and faith, needed to serve. He considered the idea of marriage and dated in high school but the prospect of kids would leave him incapable of helping more souls. Caring for a wife and children would remain a fulltime commitment. Ravert, taught by the Sisters of Mercy, struggled with his belief in God during high school and called his attitude belligerent. He struggled with what he might find underneath, toward what God really intended for him. The idea of college terrified Ravert toward the end of his junior year at Mercy Vocational. He wanted to serve people, especially since he worked at Villa St. Joseph, the Flourtown retirement facility for Sisters of St. Joseph, but found it difficult to implement this thought without God in the picture. “You hear his whisper through all different avenues,” Ravert said. His mom helping family. Priests assisting souls in the Mass. “Serve me. Serve souls,” he seemed to hear. These whispers converged and the priesthood became a persistent thought during his senior year at Mercy Vocational. He could help heal the body but not the soul. He attended Community College of Philadelphia for a year after graduating high school before entering St. Charles Borromeo Seminary in 2007. Growing into his vocation at the seminary, Ravert desired both the priesthood and spiritual fatherhood. 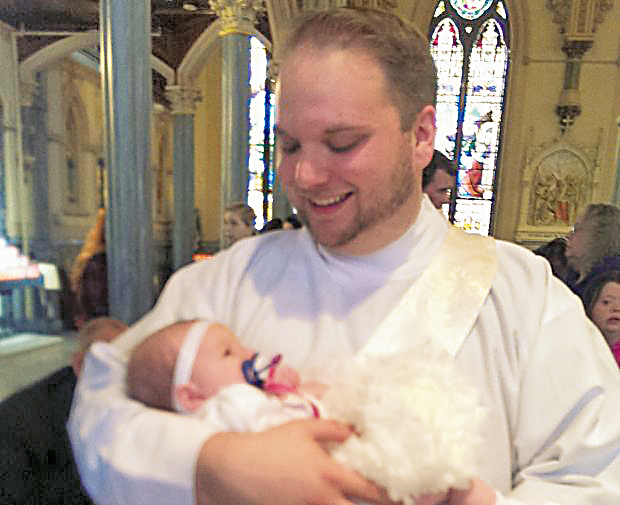 The parish where he has served the past year as a deacon, St. John the Evangelist in Morrisville, noted his preaching abilities and service-oriented attitude. Marie Joseph, a seminary professor and executive director of Legacy of Life, frequented St. John’s where Ravert walked elderly women from their cars into the church before Mass. 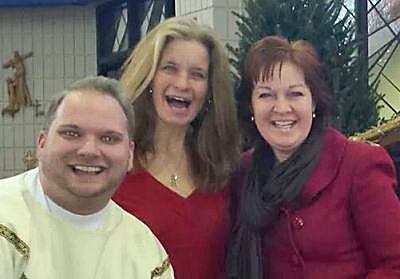 Before the seminary and diaconate parish experiences sealed his commitment to service, one dreary winter day during senior year at Mercy Vocational stood out in particular as a turning point in affirming his vocation. Ravert, by then a certified nursing assistant at St. Joseph Villa, sat in the chapel after a terrible day of school before his work shift, plagued by mental and emotional stress and nagged by God’s call to the point of exhaustion and stomach pains. Thoughts cyclically repeated in his mind. He had a girlfriend. He made good money. Why all this anguish? In front of the tabernacle, tears replaced his fatigue. He couldn’t deal with the stress of life. Angry at God, Ravert challenged him. The clouds hovered gray and dark overhead. Frightened over the prospect of the call but excited over its potential, he looked half-heartedly out the window during work. Afterward, his mom picked him up, and he took a nap at home. Around 8 p.m., Ravert rose from sleep to a night sky. God, he thought, doesn’t want me to be a priest. “I didn’t know I wanted to be a priest that much until it disappeared,” Ravert said. Then his mom, not knowing her son’s earlier request to God, approached and tried to cheer him with a favorite song the two shared. “Do you want to sing ‘our song’?” she asked. The realization hit him after she repeated the tune a second time. The song, his mother, were the glimmer of sunshine.